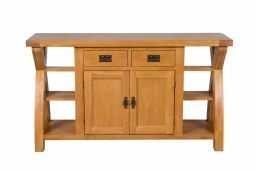 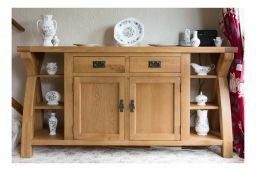 Country Oak 150cm Cross Leg Oak Sideboard - New for 2017. 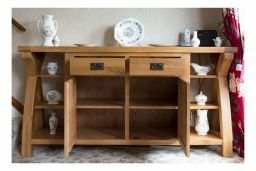 The Country Oak Cross Leg Sideboard is a brand new innovative design of sideboard which is designed to not only have storage space, but to include shelves externally to enable you to display photo frames, ornaments, books and many other household items, which essentially makes this a bookcase, display cabinet and sideboard all in one. 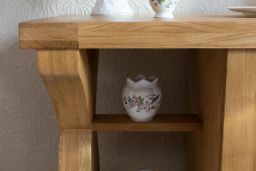 Manufactured using an American Oak which is sourced from sustainable forests which is then beautifully finished using a premium wax which brings out all the natural characteristics in the American Oak. 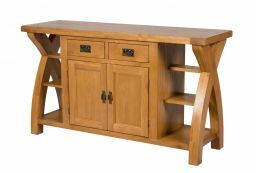 We take pride in the quality of all our products, which is why the Country Oak Cross Leg Sideboard is delivered fully assembled. 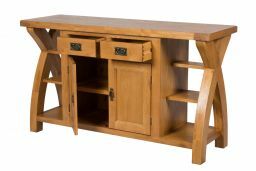 Why spend time assembling an item? 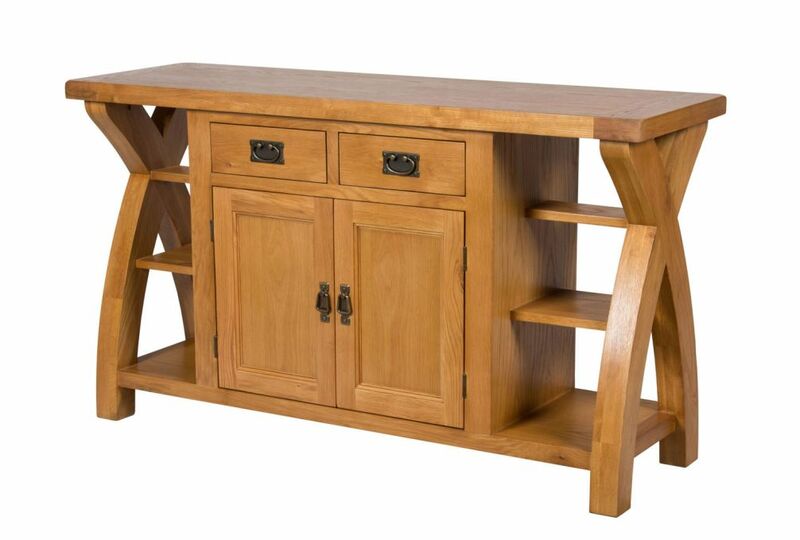 Just take our sideboard out of its packaging and start enjoying the new additional to your home.The unique cross legs and 40mm thick top give the sideboard a stunning chunky appearance giving the stool the “wow” factor. 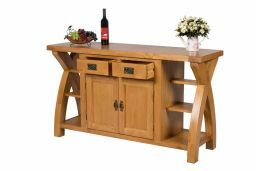 Assembled with high quality dovetail joints. 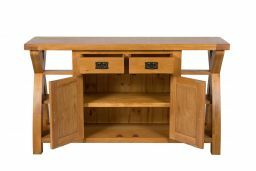 Why pay a designer price tag for a unique product? 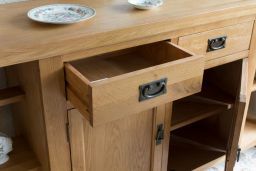 Perfect companion to our Country Oak Cross Leg table. 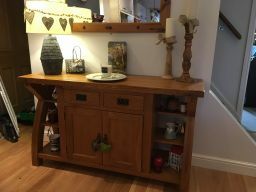 Quality item at an amazing price!